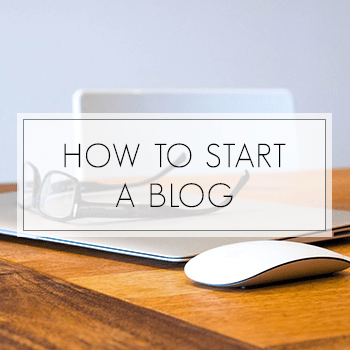 Last month, I published my post on How To Start a Blog – Tips for a Beginner. Don't get the titles confused, they are extremely similar because I lack any creativity. My other post was mainly about how to get going with your blog, and what companies to use to use to actually create your blog (domain, hosting, WordPress, etc.). But what about after you already create your blog and want to get going? What tips should beginner bloggers know about? I haven't been blogging for a very long time, and this August will be two years. I'm not sure if that's a long or short time in blog-land, but I'll take it. I have definitely made a ton of mistakes (maybe I should make a post about all of the blog mistakes that I made) and I have learned a lot. 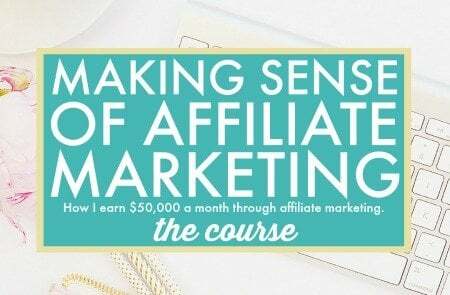 EDIT July, 2016: I recommend checking out my online course for bloggers, Making Sense of Affiliate Marketing. 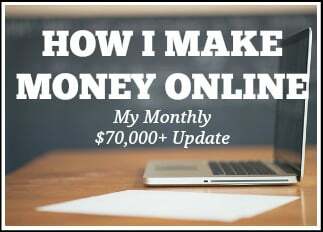 I earn over $50,000 a month through affiliate marketing and I share my exact strategy and tips in this very informative online course. 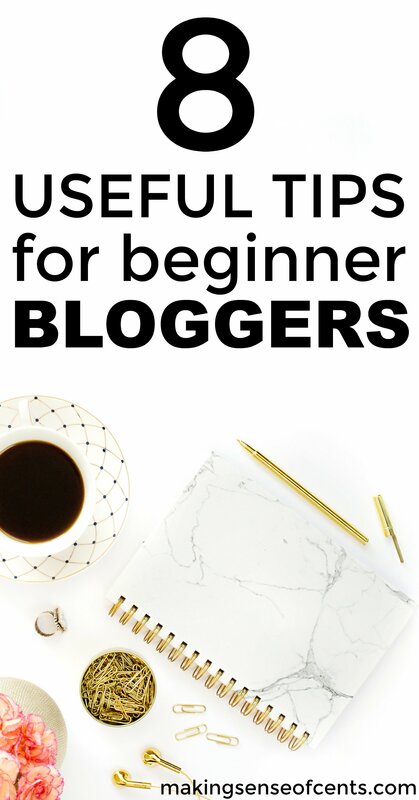 If you’re a blogger (even if you’re a new blogger! ), then you NEED this course. Lately I have been receiving many e-mails asking for blog tips. I'm going to guess that a lot of it is because many think that they will get rich blogging, but I'll save that for a whale post in the future. I will definitely say that I am not an expert, and that I still don't understand everything. Luckily, I blog for me and I'm fine with making mistakes. Today, I will attempt to share with you my tips, and hopefully no one laughs since obviously I'm not the most professional blogger. Just trying to keep it real and be honest with everyone! This will be a multiple series post, so look out for a Part 2 sometime in the near future. Today's post will mainly be about the basic of having a blog, and some mistakes that might bother me. 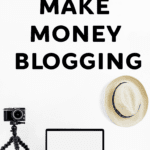 In Part 2, look forward to reading about how to choose the direction of your blog and more of a post about any wisdom that I have gained in the past 1.5 years, such as with the potential conflict of making money with your blog. Some are against it, and some are for it. All depends on your direction and will be further explained in the future. 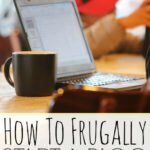 If you are interested in starting a blog, I created an easy-to-use tutorial that will help you start a blog of your own for cheap, starting at only $3.49 per month (this low price is through my link only) for blog hosting. In addition to the low pricing, you will receive a free blog domain (a $15 value) through my Bluehost link if you purchase at least 12 months of blog hosting. FYI, you want/need to be self-hosted if your website is used for freelancing purposes or if you want to make money blogging. When starting your blog, be yourself! Don't try to pretend you're someone else. I love reading real blogs where I can tell who the writer is just by reading what they have written. No one wants to read bland, boring posts, inject all of your personality in them! Have fun with it and determine why you really want to blog. Something that I am currently working on is improving my About page. I personally mainly enjoy reading blogs that have a fun or interesting personal view. Corporate blogs and blah blah blah don't really interest me as much (nothing wrong with them, everyone enjoys different things). I like to read about the author and see where he or she is coming from. Having an About page lets me learn more about you, all in one easy page. You can include a picture, a bio about yourself, and possibly links to other posts that will describe you and your life even further. Something that I always put major effort towards is always making sure to reply to comments. Sometimes the comments are just a “thanks,” but I honestly enjoy knowing that an author has actually read the comment that I have left. I LOVE when I leave a comment on a blog that contains a question, and the writer will answer it. I almost always go back to blogs that I comment on to see what was written back. Interacting with readers is always important. Captcha, oh captcha. I go nuts when I try leaving a comment and I see this. For some reason I can never get it on the first try. I'm fine with the “tests” right before you leave a comment that ask for what “1+1” is, but when it says to decipher what “32097 dfg fdgjh3 4” and it's super blurry and all of the letters seem to go in different directions? Sometimes I feel like I'm trying forever and have given up on leaving a comment before. I cannot tell you how many times I have gone to a website and they have made it literally impossible for me to subscribe. Either none of the links work, or there are no links altogether. No links for e-mail, Twitter, Facebook, Subscribing, etc? AHHHH. Please make it easier for readers to subscribe! We want to be able to find you more easily in the future. A lot of the time I like to tweet posts that I really enjoy. I've been to a couple of blogs where when you click on the tweet button, the person's twitter handle does not automatically show up. Fix this! Make it easier for people to show you recognition. This is something that I didn't do for a long time, until a couple of other bloggers told me that I was making life too difficult for them (joking of course). Yes, different people start a blog for different reasons. But if you do decide to start one, have fun with it! I feel that the best blogs out there are by writers who are having fun with it. I enjoy having a blog, and it has turned into a great hobby, but also a side hustle machine. What blogging tips do you have for beginners? What do you wish you knew? 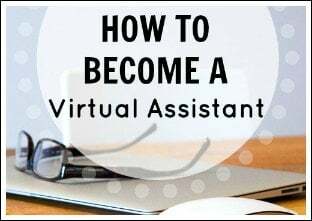 Making it two years is an inspiration for someone like myself just getting started…and from what I’ve seen, makes you a senior citizen in blogging years. Love the personal writing style. I think its the biggest thing I need to work on. Coming from corporate finance and investing, I’ve always written for corporations and brokerage that wanted an impersonal style. Thanks for the advice. Interested in seeing how your traffic has grown over those two years. A steady increase or fits of big jumps? Joseph, I’m currently in accounting and I’m having that urge to backspace everything and type We instead of I or things like sir/ma’am. It’s quite a habit. I’ve just started blogging about a week ago and I’m really enjoying it, although I’m having trouble directing traffic to my blog, I’ve found your blog posts to be really helpful. Thanks for the tips! 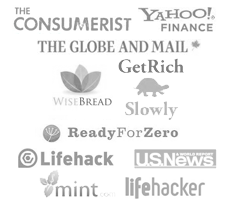 Hi Michelle, will you recommend to use an existed shopify business account as a blog as well? or to start a completely new blog in another platform? Thank you. Nancy. How’s your blog going? 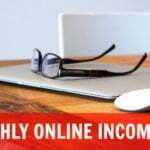 I want to make money off affiliate marketing and that’s how I found this blog. Any advice would help before I dedicate time into making a blog. Thanks for the tips. I see these as a reminder! Thank you for this article. I did what you said and just added a subscribe page. I also added a RSS feed. 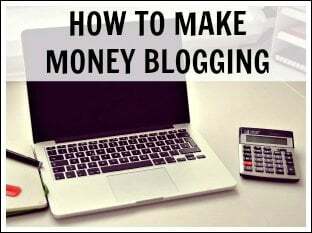 I would love to make some money with my blog. I am a Navy wife and have relocated to GA and currently have no job. I LOVE my blogging web site and am hopeful to gain an income with it. I am on Pinterest to show my baked goods, but it doesn’t seem that many people come to my site. Do you have any other tips that may be helpful? I stumbled upon your spot through a million links. I’m very pleased to have found you! I would love to start a blog. But I don’t know what it would be about, and I am not a writer. Should I start one anyone and figure out what it is as I go? I meant to say start one anyway. not anyone. See I don’t even read before I post!! Maybe it’s not for me?? You can blog about whatever you want to 🙂 If you are interested in starting a blog, I recommend testing out different topics. I just started blogging like two weeks ago and I am still struggling to find my way. But your blog reallygave me some helpful tips to get started! And I love the way your writing everything down, it is so clear that anyone could understand it! How’s it coming along now? Did you stop blogging? I love your blog! I am also looking into using my blog as a side hustle. I just moved to the U.S. and I think it would be a great opportunity. Thanks for the tips! Thank you so much for your tips. You are an inspiration! I just started my blog this past month and have a lot to learn. I am glad you are here sharing your information. Just coming across this comment and was interested in viewing your blog, but when clicking on the link it says that it is a protected blog and you must have a WordPress account to view it. I’m curious as to how you can get new subscribers if everyone has to get an account to view it? That would discourage me from pursuing that particular blog. Is there a different way to view it? Thank you for letting me know my link is not working. 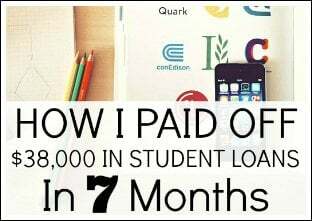 My blog is here: https://www.paychecktofreedom.com. I would love if you checked it out! I’m interested in reading your blog, but the site isn’t active now. 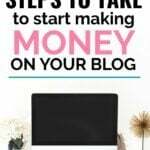 How long after you started your blog did you start making money? 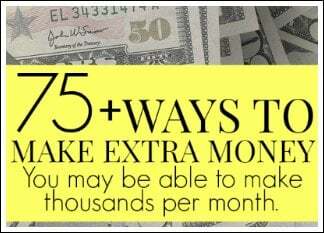 Did you immediately reach out to affiliate links and things like that? What were some of the challenges you had to over come at first? I believe it took me around 6 months to make my first $100. However, I didn’t start my blog ever thinking that I was going to make money. I started it just as a way to document my journey. 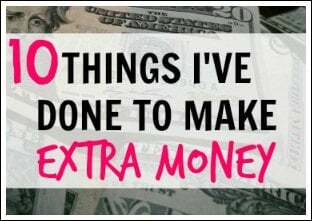 I think that if I would have tried making money earlier, than it definitely would have been possible. I love you blog! It has a fun upbeat feel to it. I am trying to start my own website and hopes of making an extra income. I think I will be visiting your site often in hopes of learning from you! Great post! I am extremely new to blogging (less than 2 months!) The biggest problem I’m facing is getting people interested in what I’m blogging about, which is using plants and real food as medicine… Any pointers for really getting people excited about your content? I have a blog, but I barely ever use it and don’t go in for months at a time. I tend to write fiction (short stories, poetry, novels), but do not really know how to write a blog. I have not the faintest clue what to write about pertaining to the real world. My question is one of content – what kinds of things do people write about in blogs? How do I know what will be interesting to readers? How do I come up with topics? I don’t want my whole personal life online for the whole world to see, especially considering that it’s not merely MY life that would go up if I were to do so, but the lives of my household. That feels like a violation of their privacy, and I don’t want to overstep in such a manner. I am not a published author yet, although I am on the way, but because I am so inexperienced, I cannot put myself in an advice-giving role anywhere. I am a college student and am not an expert in any one thing. I feel that although I love to write, I have nothing to say that would fit into a blog. Any advice in this regard would be greatly appreciated! Thank you in advance for anything you might have to say to me in response to this comment! 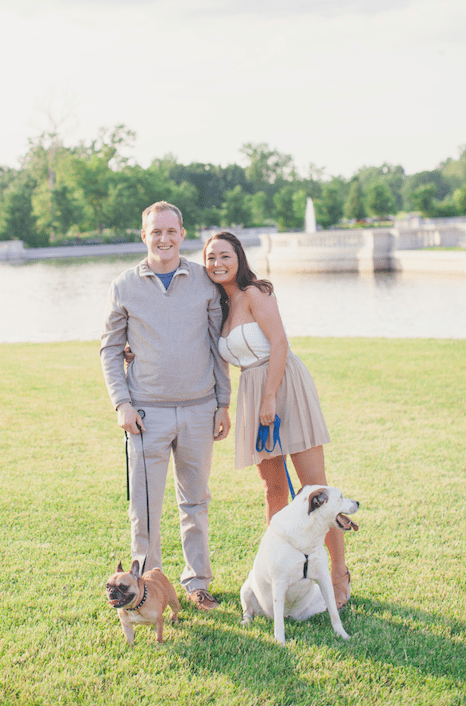 How do you actually get people to see your blog and start following you? 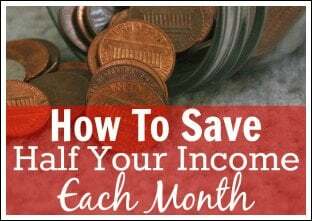 I am really interested in starting a blog but I do not want to spend a lot of money starting a blog and not be able to even get anyone following me and get stuck wasting money. Thanks so much for the tips! I’m just getting my blog started up this week! We’ve been using a wordpress.com site and I want to switch to bluehost now to get a proper domain name, etc. Do you have a post about switching platforms? How do I inform my few subscribers? Thank you so much! Excited to get everything up and running! Love all your tutorials and tips! Very helpful! I’ve just recently started on a blog, I haven’t launched it yet because I’m a perfectionist and have trouble accepting anything if I don’t think it’s flawless. Anyways, I love reading your posts, you always make me feel so much better about actually starting a blog! I’ve always wanted to be a writer and never thought it could be this easy(ish). 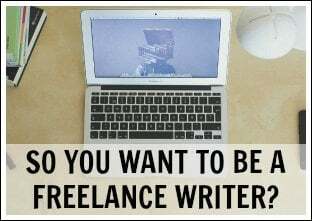 My goal is to become a full-time blogger, that’s my dream. If you have any tips on how and when to make that leap and launch my blog, I’d really appreciate it!! I work for a newspaper part-time and so I write regularly, and I have started a blog a couple of times, but then I get bogged down and stop especially if I feel like no one is reading it or I feel like I am getting too personal, or what do I do that anyone would want to read feeling. I know that is negative nelly thinking, but . . . help. This is really helpful. I’m a brand new blogger this week (Ah! ), and I’m excited that I’m already doing some of these things. I get really frustrated when I read blogs that aren’t easy to connect with/subscribe to. I’m working to make my blog reader-friendly, but man is it hard! I’m enjoying reading all of your posts about new blogger tips. I need all the help that I can get. I really enjoy reading your blog. Thank you for the many tips. I have been blogging for a few years on and off, but recently decided to start a new blog on wordpress from scratch. Being used to blogger I am figuring out my direction along with the technical side a bit slower than expected, but I am getting there. Thanks for having this resourceas a helpful guide. I love reading your blog and have just started my own parenting blog. I’m stumped as to what theme I should use for my WordPress blog. I don’t have much money to spend but I feel that the free WordPress themes won’t make my blog look professional enough. I’m also not very tech savvy. I know I’m asking a lot. I’m very serious about making my blog at least my part-time job. Thank you for your time! I already have a website, do I have to start a new one to create a blog that will make money? I used Wix to set it and paid for five years. I am truly inspired by your articles, I found you through Heather and Alyssa. I bought a used RV for my birthday and I am having it renovated so I can get on the road! I finally took the leap into blogging and I’m really happy about the direction everything is going. It called Go Mode Club (www.gomodeclub.com) and its for Collegiate Entrepreneurs who want to take action. You’ve been super helpful already and hopefully we can chat sometime about blogging. I just heard your episode on Side Hustle Nation, and I’m really inspired! I’ve been throwing an idea around for a blog for sometime, and I’m really going to do it this time (link coming later, once domain name is purchased). Anyway, I really like this post because I appreciate practical tips on how to actually *write* a blog. Can you give us some more info on what WordPress plugins you use? For example, in this article, you talked about comments. Do you have a preferred comment plugin? Also, what about a social media share/follow plugin. Thank you!! When you set up a blog, does that mean that all comments that readers make authomatically get posted? What if they are inappropriate for your site? Nope, you can switch the setting to approving them as well. 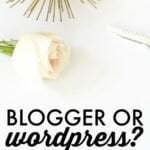 I am thinking about starting a blog alongside my fiance and I was wondering if you need to have social media accounts that are for the blog or link it to one or both of our social media accounts? I don’t think I have time to create and keep up with a social media account with our lives at this point but my personal account doesn’t necessarily go with the theme of our blog. Also, For when people subscribe to your blog what email is sent to them/how do you set this up? I am confused on how to handle subscribers. I would recommend having social media accounts. It doesn’t have to be difficult, though – you can automate a lot until you have the time. I handle my email subscribers through Convertkit. This post is a good direction for me. I am a web developer and I prefer sticking to coding but knowing how to work all the back end computer stuff makes it easier for me. Its just hard for me to commit to blogging. So when I saw that it’s okay to make mistakes in blogs then thats when I realized I should just go for it since my personality is pretty insane. So I will be blogging about real estate (Im a project manager for real estate websites) and stock investing (since I check the stocks every single day). Thanks for the motivation! I am a new blogger and I struggle with blogging consistently. Any ideas, please? All of this stuff has just been incredibly helpful to me. I’ve got my site up doing some final tweaking and writing etc.. Getting ready to get the full course next week. 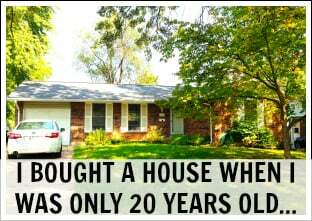 I started a blog to share my experiences from a big move a number of years ago. It fell by the wayside and I have just decided to return to it. 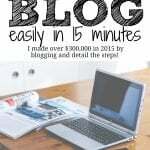 If I don’t want to make money from my blog (yet), is there any reason NOT to continue blogging for free on WordPress.com? Thanks.